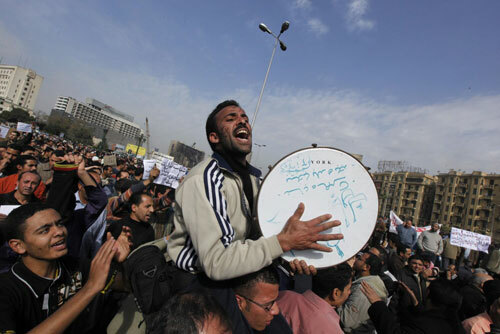 Shadid reported from Tunisia and then from the uprisings in Egypt, Libya, Syria and Bahrain. He says 2011 has been one of the most unbelievable years he ever could have imagined experiencing in the Middle East region. Shadid says the euphoria felt in places like Tunisia and Egypt throughout the spring has now passed. The year that is about to pass is historical for Islam for the reason that a much-derided faith has proved to be capable of being all that it was thought incapable of. An awakening that swept the Arab world ended up re-inventing Islam in the eyes of the world. I consider myself lucky for being able to travel to some of the lands and meeting some of the people who were part of this. The changes have been variously called “Arab Spring”, “Arab awakening” or “Arab Empowerment”. I prefer to call it Islam’s second renaissance. For this to be the second renaissance, you may wonder, there ought to be a first one in the first place. Digression be excused, Ibn Rushd’s (Averroes for Europe) rescue of the Aristotelian texts (when Europe almost buried them) should be counted as one of the key features of the first Islamic renaissance. The Arab spring was sparked in Tunisia in late 2010 by protests that followed the self-immolation of a young vendor harassed by police. His death in a hospital in January prompted thousands to take to the streets that forced the longtime president, Zine el-Abidine Ben Ali, to flee to Saudi Arabia. As someone who works in the field of promoting interfaith dialogue on Islam in America, I can tell you it has been a hectic couple of weeks. When Lowe’s Home Improvement decided to pull its ads from TLC’s new reality show “All American Muslim,”they sparked a national crisis over Islamophobia in America. But crisis is the wrong word. I prefer opportunity. I say opportunity for two reasons. One, the Lowe’s debacle has already proven that the Muslim community is well organized, ready to respond, and even able to lead a movement thatgarners support from acclaimed entertainers and public figures such as Sen. Ted Lieu and Russell Simmons. In fact, more than 32 congressional representatives have publicly called on Lowe’s to re-instate advertising on the TLC show. Secondly, the controversy has shown that interfaith dialogue, relationship building between faith groups, and coalition building when there is no crisis, really does pay off. As Eboo Patel, author of “Acts of Faith,” has rightly pointed out, the future of religious pluralism will be decided by the success or failure of two groups: religious pluralists or religious totalitarians. Yet, you seem to have bought into the idea that I am a threat. One fringe group screamed “Muslim,” and lo and behold, you caved. And, in turn, you’ve made the drastic error of pulling your company’s spots from essentially an All-American show from an all-American TV network. Clearly, you do not seem to know much about American Muslims or their contributions to the American fabric, so let me take this opportunity to enlighten you. I come from a proud immigrant family that moved here 20 years ago from Pakistan. My parents taught my siblings and me to work hard and accomplish our dreams. Today, we are contributing members of our communities, with two of my siblings working as physician’s assistants and one as a firefighter. As for me, I turned to writing and advocacy during my days in college and have continued to pursue those causes with fervor. The terrorist attacks of September 11, 2001 spawned a spate of conservative Christian reflections on the essential characteristics of Islam. Figures from Christian Broadcasting Network’s Pat Robertson to Colorado Springs pastor Ted Haggard pointed to the inherently violent nature of Islam. Liberty University’s Jerry Falwell said on 60 Minutes that “Muhammad was a terrorist,” a glib comment that set off riots among Asian Muslims, and earned him a fatwa from an Iranian cleric calling for Falwell’s assassination. As recently as 2006, even Pope Benedict XVI generated a major controversy by making disparaging comments about Islam’s violent history. One might think that these Christians’ views simply represent angry reactions to the horrific violence of 9/11 and ongoing jihadist terror. 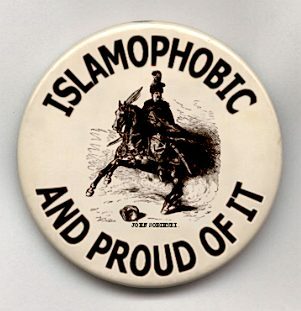 But a closer look reveals that American Christians have deep-rooted views of Islam as a violent, demonic religion. 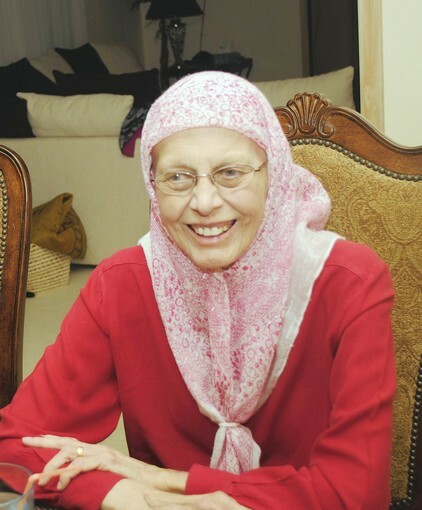 Mary Ali was a faithful supporter of the work of CCME as a member of our advisory board, as well as a supporter of the work of all who were promoting positive Christian-Muslim relations in Chicago. Our prayers go out to her family in this time of mourning. May God grant them peace. With roots in a small town in Iowa, Mary Ali seemed an unlikely prospect to become a follower of Islam and a leader in the Muslim community in Chicago. But an investigation of Islam for a high school essay and a friendship with a Muslim man who would later become her husband led her to convert. Mrs. Ali, 72, died of complications of leukemia Tuesday, Dec. 6, in the University of Chicago Medical Center in Chicago. She had lived in Chicago since 1967, except for four years spent in Saudi Arabia. Mrs. Ali grew up as a Christian in northwest Iowa. Her first look at Islam came when she was assigned to choose a world religion for a high school essay subject. A decision by retail giant Lowe’s Home Improvement to pull ads from a reality show about American Muslims following protests from an evangelical Christian group has sparked criticism and calls for a boycott against the chain. The show premiered last month and chronicles the lives of five families from Dearborn, Mich., a Detroit suburb with a large Muslim and Arab-American population. A state senator from Southern California said he was considering calling for a boycott. Calling the Lowe’s decision “un-American” and “naked religious bigotry,” Sen. Ted Lieu, D-Torrance, told The Associated Press on Sunday that he would also consider legislative action if Lowe’s doesn’t apologize to Muslims and reinstate its ads. 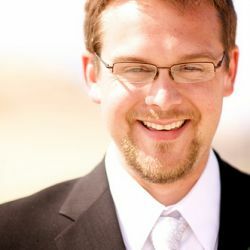 The senator sent a letter outlining his complaints to Lowe’s Chief Executive Officer Robert A. Niblock. “The show is about what it’s like to be a Muslim in America, and it touches on the discrimination they sometimes face. 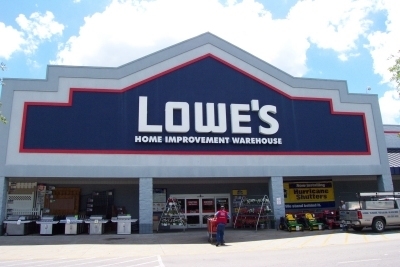 And that kind of discrimination is exactly what’s happening here with Lowe’s,” Lieu said.